THERMEplus®-Partner: Your host is partner company of the spa company Bevensen GmbH! In addition to the host's own services, guests receive one day's free admission to the iodine-brine spa per overnight stay. Our stylish holiday apartments offer plenty of space and comfort for a relaxing holiday in Bad Bevensen. 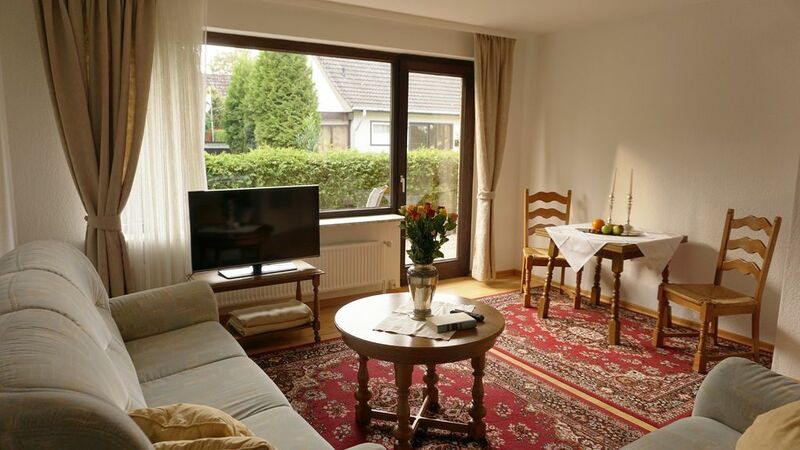 You are on the ground floor and first floor of the house, located in Birkenweg and feature a large balcony or a sun terrace, comfortable beds, new, fully equipped kitchens (with dishwasher), a comfortable living room with a sitting area and a spacious bath with shower, bathtub and WC. Likewise, each unit has a car parking space available. Cot and high chair on request. You are welcome to bring their bicycles, secure garaging is provided. In addition, the rental of wheels on request is possible.